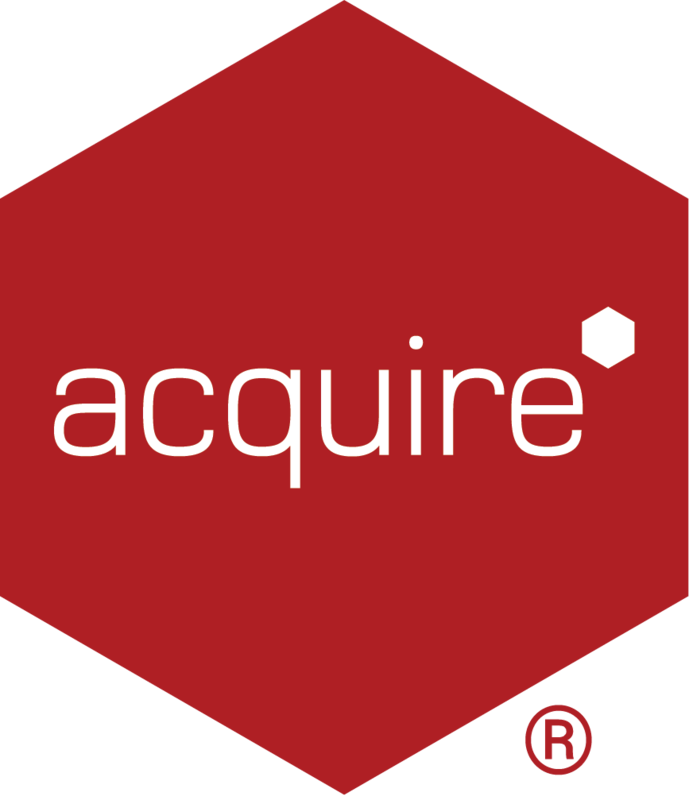 I often notice text inside the text-box on Acquire Editor pages appear jagged or pixelated. Why does this happen and how can it be resolved? Anti-aliasing is software technique, used in various applications to remove or reduce jagged edges or step-like lines which, otherwise should be smooth. For speed, Acquire Editor does not render text that is anti-alias. 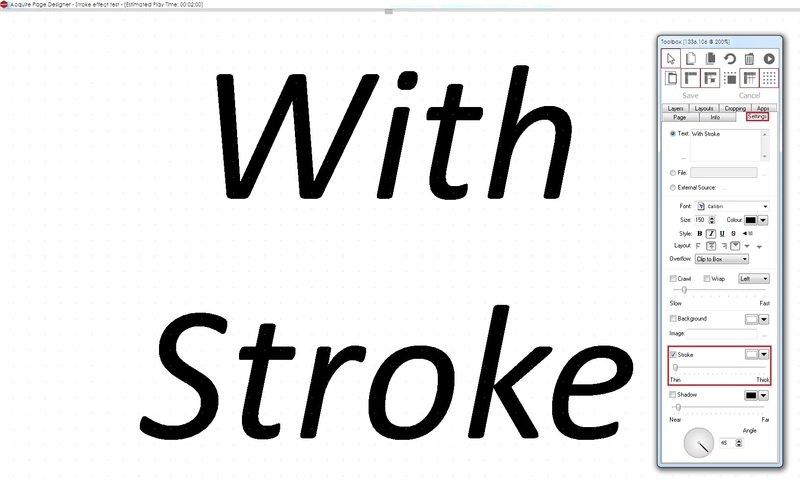 To minimise or significantly reduce this effect, we recommend using the Stroke effect in the Acquire Editor Toolbox and matching up the background colour of the text-box to that of the page. In the example below showing page Preview, you may notice the text shows jagged edges (this effect is only increased if a larger font size is used). 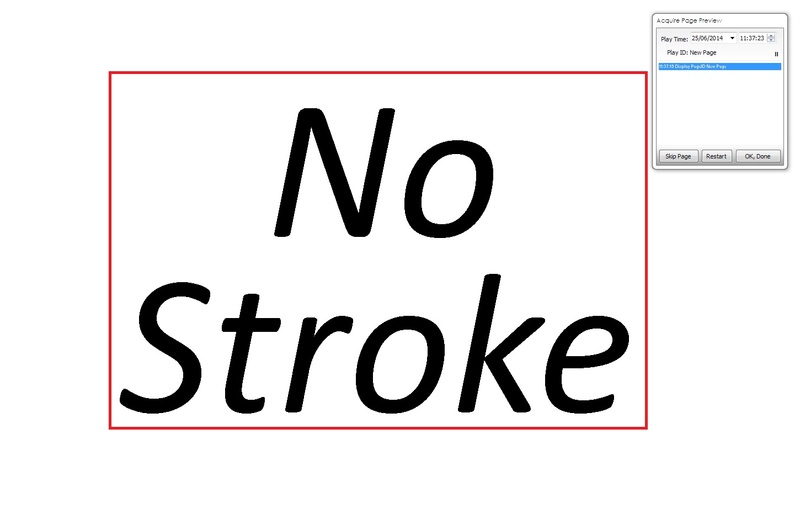 Now in this example shown below, the Stroke effect has been enabled, setting to the lowest level of Thin and the colour set to the match the background of the page (in this case white). The resulting Preview of the page shows, smoother screen fonts. 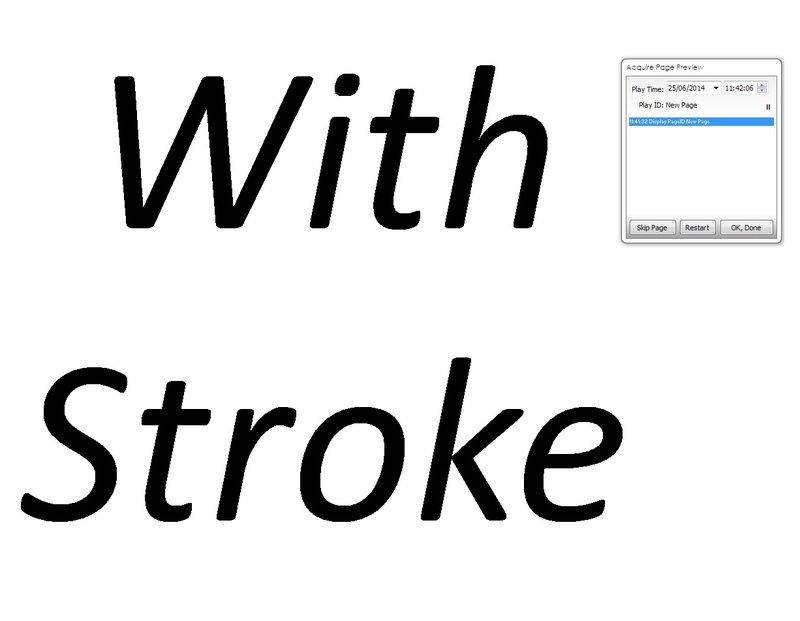 Please note: the effect of the Stroke, will significantly vary depending on the type of font, the font size, resolution and the type of display in use. Therefore the example shown below should give a clearer representation of the feature. TIP: There are instances where the page background is an actual image, with various colours, patterns or shapes on it (instead of a solid colour). If this is the case you should also set the text-box background to the same image and line this up accordingly.